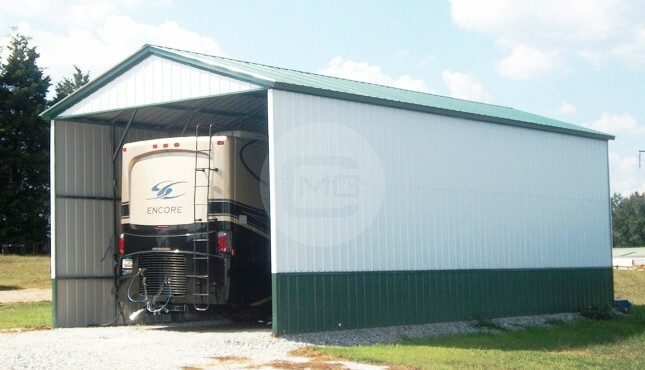 18x21x12 Carolina Barn with Enclosed Lean-to’s. 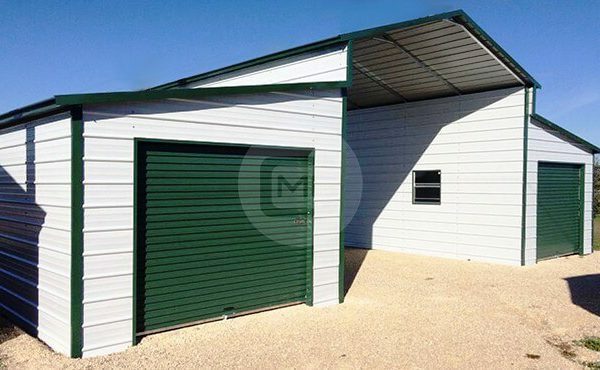 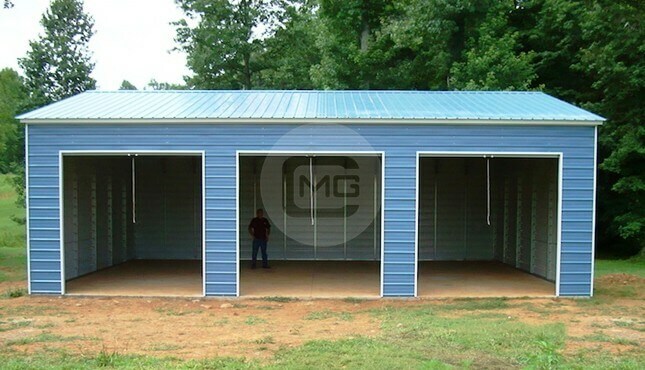 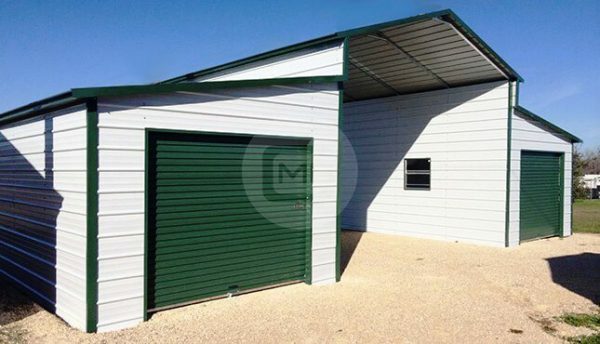 Home > Prefab Metal Buildings > 18x21x12 Carolina Barn with Enclosed Lean-to’s. 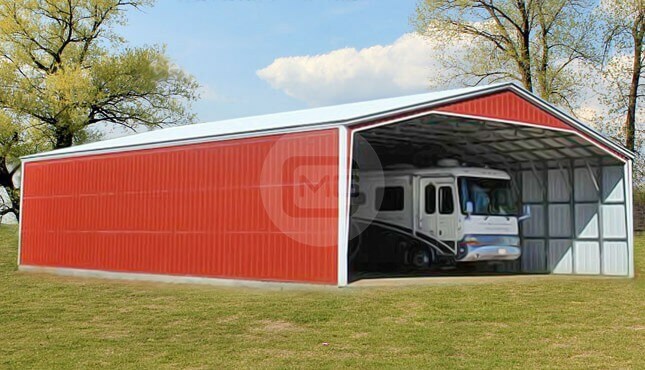 18x21x12 Carolina Barn with Enclosed Lean-to's. 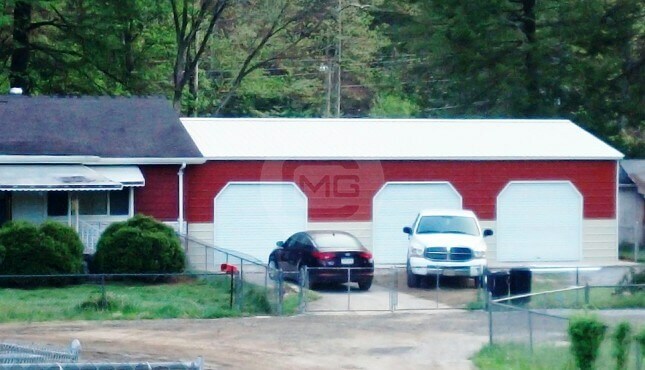 A-Frame (Boxed Eave) Carolina Barn, 18’W x 21’L x 12’Ht. 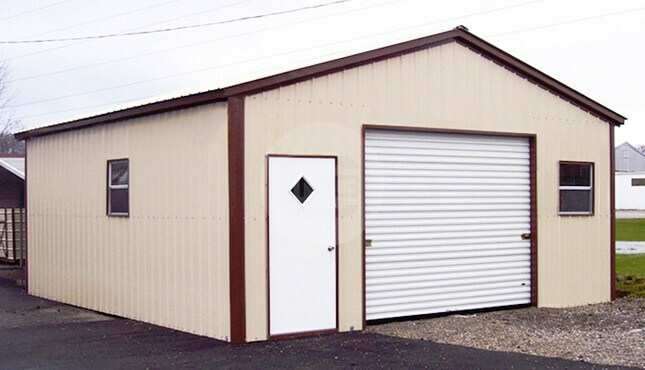 Center Building with Both Sides Closed and (1) 30″x30″ Window. 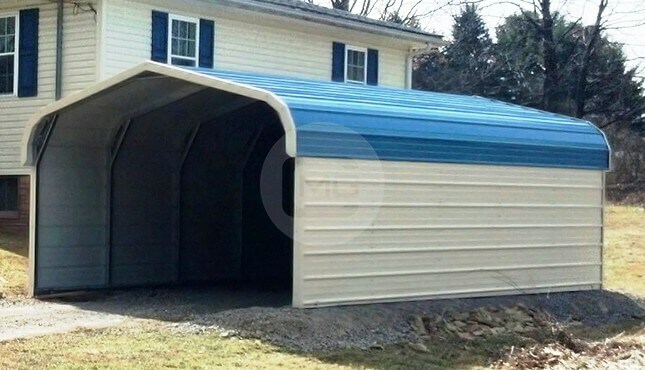 (2) 12’W x 21’L x 8’Ht. 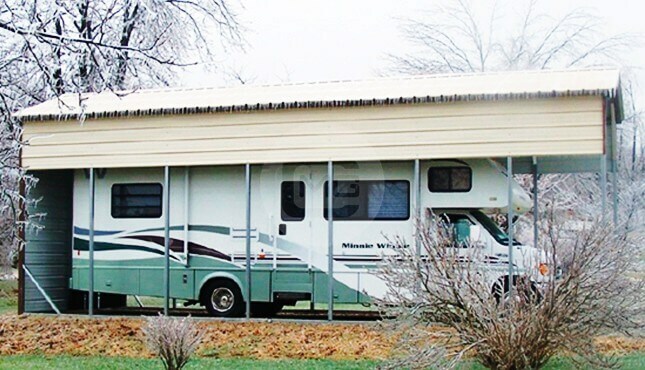 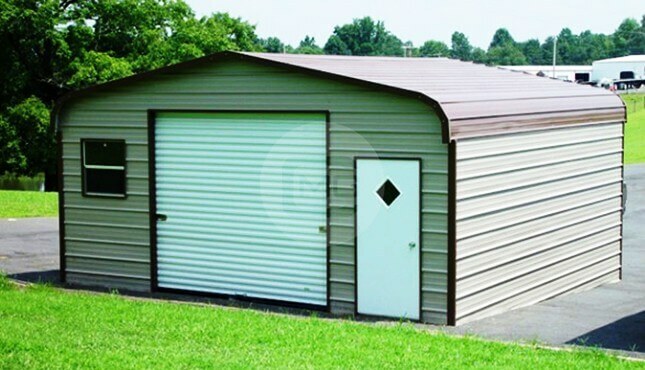 Enclosed Lean-to’s with (2) 9×7 Evergreen Garage Doors on Front Ends of Lean-to’s.